Pro Tip: "To use this duster remove the rubber stopper and fill it about half full with your dust of choice. Insert the stopper and flip the duster over so that the rubber stopper is facing down and the metal spout is at the top. Now squeeze it to produce a fine puff of dust that looks like smoke. *Hint: Place a coin inside the duster to break up clumps when you shake it." Bellow Bulb Hand Duster is a perfect duster for small dusting applications. This bellow duster has a spring that is compressed in order to release the dust. This duster will hold between 4 oz to 8 oz of dry dust. It would depend on the dry weight of the dust. Has a rod for easy cleaning. Can be held upright, or inverted for better dust dispersion. Fill the bellow duster half way with a dust such as CimeXa Dust, D Fense Dust, Delta Dust , Drione Dust or other dusts. When you squeeze the duster, the dust will come out of the end tip.This will allow you to inject dust into places like wall voids, light switch plates, and crack and crevices or any other places insects like to hide. JT Eaton Insecticidal Duster #530 Bellow Duster- 8 Oz. 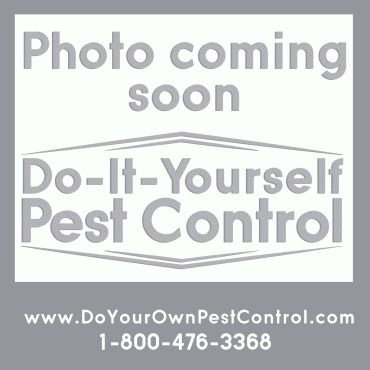 The J.T.Eaton Insecticidal Duster #530 Bellow Duster- 8 Oz. is a perfect duster for small dusting applications. This bellow duster has a spring that is compressed in order to release the dust. To use this duster remove the rubber stopper and fill it about half full with your dust of choice. Insert the stopper and flip the duster over so that the rubber stopper is facing down and the metal spout is at the top. Now squeeze it to produce a fine puff of dust that looks like smoke. *Hint: Place a coin inside the duster to break up clumps when you shake it. This is a great product! So easy to use. Why pay an exterminator?!?! Works very well to apply the D-FENSE dust I had bought from DIY earlier. Better packing is needed to keep the rubber stopper in place. Iit had come off and the steel mixing ball in the box. Worked great for dusting (DeltaMethrin) on carpenter ant nests. Deterred them from coming back. Also worked well for getting into deep carpenter bee holes. Will last years. I bought same one ~10 years ago and the rubber eventually cracked. But this is such a great price and works well, i would highly recommend it. I used the duster twice for two different bee nests. Using an appropriate dust, I did not have to repeat the dusting. Bees are gone. I purchased this duster and used it in my home for a roach problem. It allowed me to treat areas that I was not able to treat otherwise. It worked. The application is still working. Highly reccomend. We'll worth the money. D-fense Dust and Hand Bellow Duster worked fine. D-fense Dust and Hand Bellow Duster worked fine. I dropped a couple steel washers in the can to break up the powder. The bellows were easy. I used it to pump under siding on a pier column. Yellow jackets were beneath the sheathing behind the siding. It took a couple apps but did work. The powder that hit the asphalt lasted a couple of chalky weeks. As far as killing power, I also used it in two ground nests a few weeks ago, and this season is prime time for nests, and i could easily see a bunch flying close to the ground. I used a paper cup taped to a five foot handle, moved low and slow close enough to dump the powder directly into the hole. A couple of days after, most were gone out of the dozens and dozens when I first treated the nests. I am glad I found this product and I'm a fan of doyourownpestcontrol.com Remember: It's their nest and they can smell a stung person and may give chase! Bees, wasps, hornets, yellow jackets are a little different. Be smart and don't panic or be too bold. Performed as promised. If you are using it to treat a yellow jacket nest in a cavity (exterior of our house) as we did, you might want an extension if it is available. A bit unnerving to get within 9 inches of the application point. Best applicator for fire ant dust (Deltamethrin) Sure kill. Very good, easy to use. Perfect for small area and hard to reach cracks. Great price. Would order again if I need to. Thanks. I used it to dust carpenter ants in wall voids around a slider, and it worked well. The hand bellow duster works excellent. I'm a Research Biologist, K9 Scent Detection Trainer, and K9 Bonding Specialist. This duster is well worth the money! To reduce the rubber from drying out and causing the duster to leak, try rubbing on some vinyl restorer on the rubber part. Overtime rubber or other plastic material will dry out and crack. The bottom line is this; even if you have to replace the unit due to unfixable breakdowns, the cost is extremely feasible to replace the old unit with a new one. And, compared to the money that you will be saving by doing your own extermination, if you need to replace the duster the cost is miniscule/minuscule. I'm very satisfied with the performance, low cost to purchase this product, and its ease of use; and of course the small price to pay if it is necessary to replace the duster. It is well worth the price to get this product. I bought the duster to rid my siding of yellow jackets. The duster worked fine but the dust didn't do the job. This bellow really gets Cimexa dust into nooks & crannies, easy for me to use for bed bugs. It's a breeze to treat behind paintings and wall cracks. For what it is, it does what it's supposed to do. I used the hand bellow duster with ant dust powder as explained and it works. Three days after using it, the carpenter ants were dying; outside the wall. I squeezed the bellows to produce a fine puff of dust that looks like smoke after drilling a 1/4" hole above baseboard to kill ants nesting in wall. You'll find the entry to your home by watching colony send ant scouts to enter & leave you home. Usually between foundation & moist wood which they will pick to nest in. Dust 6ft by drilling holes in either direction of entry. p..s. I used it once as a homeowner & for $14.14 it's worth every cent. Not for commercial use for constant uses. Worked great the first year. Bellows developed cracks and was worthless the next season. If you only need it one season..it works fine...after that figure on buying a replacement. DIY RESPONSE: Sorry to hear it failed on you. We started buying these from a different manufacturer this year 2014 than the one you purchased. The materials are different, but at the low price point of the item, the expected life span isn't the highest. Thanks for the feedback! I used the bellow duster as explained and it works. Three days after using it, the bees were gone. Thank you. This duster is a good choice if you don't want to spend much money and you won't need it after about 3 months. I bought one 2 months ago and used it on two occasions about a month apart. I tried to use it today and it is starting to leak. It's made of the worst kind of synthetic rubber which cracks and falls apart. Fortunately I'm using Drione,. which I don't believe is very toxic to humans. I hope that I can use the duster for a few more days. I've only one of this and have been using it for almost 4 years now (At least 3 times a year) . 'Am ordering another one with Delta dust and the Tempo dust - I need one for each so there's not need switching bellows. I wish these would have extenders - not a big deal - I believe I can come up with one. I found that this duster is worth the money.There are more expensive dusters on the market, but decided to opt for this less expensive one. The only complaint I have is that it won't dust upside down. It did work for what I wanted it for though, and was worth the money. This is my second one, because I misplaced the one I got last year. I used it to apply Delta Dust into wasps nest under my siding. It took just one application. I also bought D-Fense dust this year, because it is the exact same thing as Delta Dust and cheaper !